Wisdom teeth are most widely recognized for the trouble that they cause. Despite their seemingly harmless name, wisdom teeth (more formally known as third molars) often have trouble developing and erupting properly. They can cause a host of problems such as intense discomfort, damage to other teeth, forced tooth misalignment, and extensive damage to your gums and jawbone. 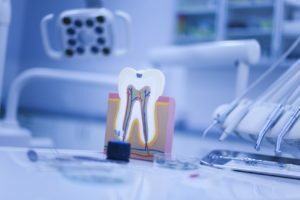 For patients in North Hollywood, CA, wisdom tooth extraction is an important and common procedure that involves removing troublesome third molars to stop them from causing more damage to your smile. Wisdom teeth are the unofficial name for your third set of molars – a set of teeth that experts say we don’t really need anymore. Our ancestors, who had larger jawbones and dental ridges, used the extra biting and chewing power to survive off of raw vegetation and less tender meat. Now, however, our diets are kinder and our oral structures have adapted, which leaves little room on your dental ridge for the wisdom teeth to grow in. Why are they so problematic? The minimal space they have to grow and develop is the reason why wisdom teeth become so problematic. Your second set of molars that are already at the ends of your dental ridges can interrupt your wisdom teeth’s growth, which causes your third molars to become impacted. Your wisdom teeth will continue to grow against those teeth, causing increasingly dental health issues. Should all wisdom teeth come out? 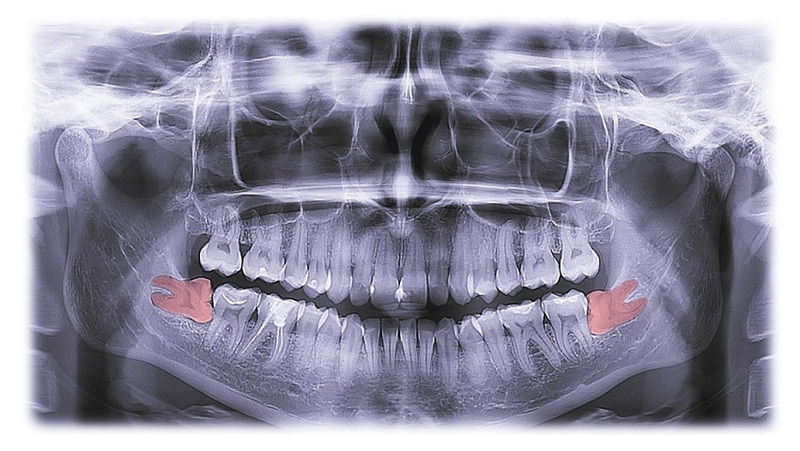 Most patients opt to have their wisdom teeth extracted because of the problems they cause. However, some patients choose to extract theirs before the extra molars start to cause problems. Fortunately, you don’t need your wisdom teeth too bite and chew your properly anymore. Therefore, extracting them won’t have any negative impact on your long-term oral health or bite function and you won’t have to replace them after extraction. The most important thing to remember about wisdom teeth is that extracting them could be the best thing you do for your long-term oral health. For more information, schedule a consultation by calling Modern Smile in North Hollywood, CA, today at 818-763-9353. We also proudly serve patients who live in Burbank, Toluca Lake, and all surrounding communities. When Is Oral Surgery Necessary? While not everyone will need oral surgery in their lifetime, many patients do, and the need can arise from a wide variety of different concerns. In many cases, patients typically have to visit a separate office to receive the treatment they need. However, at our office, we offer a range of oral surgery procedures in-office so you can improve your smile and oral health much more conveniently. Today, we examine a few common times when oral surgery is necessary, and how we can make your treatment more comfortable and convenient by performing it in-house. Gum contouring is a minor oral surgery procedure that involves trimming away excessive gum tissues to correct a gummy smile. In addition to performing the surgery in-house, we also perform it using the advanced, specially calibrated Epic X laser. The laser produces significantly more precise results and a more comfortable procedure and healing process. An impacted wisdom tooth is a third molar that has become obstructed before it can completely erupt from your gums and jawbone. Unlike typical tooth extraction, removing the wisdom tooth involves surgically accessing it from within your jawbone, which we can usually accomplish in just a single visit. Dental implant placement is a common surgical procedure that involves placing one or more dental implant posts into your jawbone. The posts are then used to support a dental crown, bridge, or denture, depending on how many teeth you’ve lost. If your jawbone has grown weak, then we can also perform bone grafting to strengthen it before your dental implant placement. With a wide range of expertise and an array of advanced dental health technology, we can perform many common oral surgery procedures in-house for your convenience. To learn more, schedule a consultation by calling Modern Smile in North Hollywood, CA, today at 818-763-9353. We also proudly serve patients who live in Burbank, Toluca Lake, and all surrounding communities.